4.0 out of 5 based on 15 bloggers and 3 commenters. 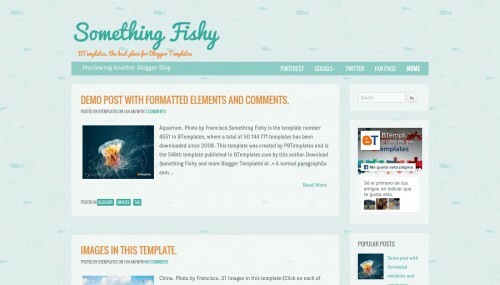 Something Fishy is a free blogger template adapted from WordPress with 2 columns, responsive design, right sidebar, posts thumbnails, a background pattern and well designed threaded comments. Excellent template for blogs about animals, education, food or kids. Hi,,,you present nicely about how one install free template into one’s blogger site.. So please help me sharing any tutorial link.